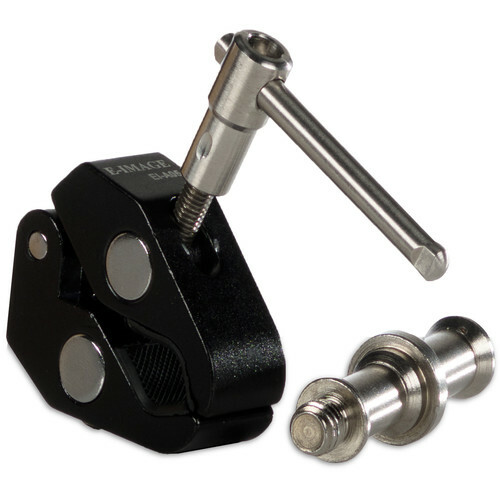 Clamp Jaw Range: 1/2 to 1-1/2"
A handy mounting solution on set, the EI-A05 Pinch Clamp from E-Image features aluminum and steel construction and clamping to square or round tubing from 1/2 to 1-1/2". The Pinch Clamp has 1/4"-20 and 3/8"-16 female threads for matching accessories and a 5/8" pin for gear with a 5/8" receiver. Box Dimensions (LxWxH) 4.7 x 3.5 x 1.1"